Product management is an organizational function that guides every step of a product’s lifecycle: from development, to positioning and pricing, by focusing on the product and its customers first and foremost. To build the best possible product, product managers advocate for customers within the organization and make sure the voice of the market is heard and heeded. Thanks to this focus on the customer, product teams routinely ship better-designed and higher-performing products. In tech, where entrenched products are quickly uprooted by newer and better solutions, there is more need than ever for an intimate understanding of customers and the ability to create tailored solutions for them. That’s where product management comes in. Should you study the tech stack your first week on the job? Take the team out for lunch? Whatever you do, make sure to spend time with your customers. A roadmap is just as important to an agile team as it is to a waterfall team. We'll talk about how to build an agile roadmap, how to use it, and evolve it. Win the development team over with your roadmap. Learn which top 10 tips will help product managers get buy-in from technical teams. Learn how to create a lean, agile product requirements document by following these principles with this agile product requirements document template. As a member of a product team myself, I work daily with product managers and have interviewed dozens more about their roles and responsibilities. Despite the advice here, I’ve learned that there is no one way to apply principles of product management. Every product has its own goals and challenges which require a unique and customized approach to product management. 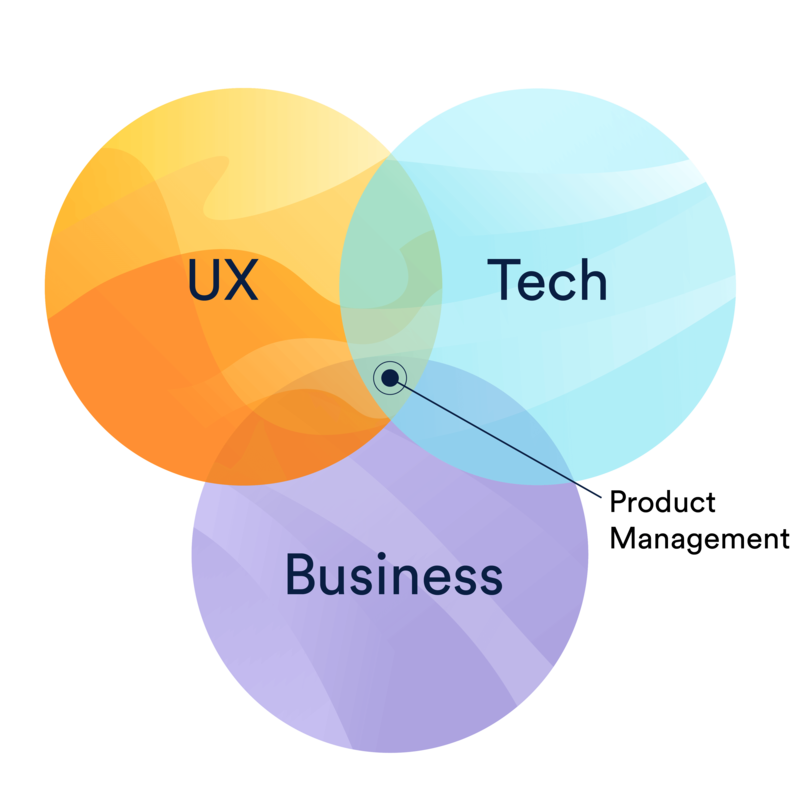 Martin Eriksson has famously described product management as the intersection of business, user experience, and technology. Business — Product management helps teams achieve their business objectives by bridging the communication gap between dev, design, the customer, and the business. UX — Product management focuses on the user experience, and represents the customer inside the organization. Great UX is how this focus manifests itself. Technology — Product management happens, day to day, in the engineering department. A thorough understanding of computer science is paramount. Three additional skills that every PM needs are storytelling, marketing, and empathy. A product leader should be as inspirational as they are tactical, and storytelling is their tool of choice. Through customer interviews and market research product managers learn more about the customer than even the salespeople. They then use their storytelling skills to share that perspective with the rest of the company. Product Management’s customer focus also informs marketing efforts. Instead of sticking to the brand and using established techniques, product management teams (often including Product Marketing Managers) integrate the language of their customers into the messaging of their product. Furthermore, knowledge of the competitive landscape and the ability to stand out and differentiate pays dividends in the long run. Understanding basic marketing and positioning concepts will help product managers ship products that people can find and relate to. Finally, product management is about empathy--Empathy for the developers and and how they work, empathy for the customer and their pain points, and even empathy for upper management, who juggle aggressive goals and impossible schedules. This skill in empathy, one developed through immersion within and intimate understanding of each group and stakeholder, separates the product teams that can rally the organization around common goals from those who are incapable of doing so. Product management was born during the great depression, when a 27-year-old marketer proposed the idea of a “brand man”-- an employee to manage a specific product rather than a traditional business role. Since the 1930s, the continued success of this function has led to the growth of product organizations across industries and geographies. 1931 — Neil H. McElroy, a marketing manager at Proctor & Gamble, writes a 300-page memo on the need for “brand men,” who manage specific products. Late 1930s — McElroy is an advisor at Stanford University, where he influences two young visionaries: Bill Hewlett and David Packard. 1943-1993 — Hewlett-Packard sustains 50 years of 20% Y/Y growth by implementing the “brand man” philosophy in their new company. Late 1940s — Toyota develops JIT manufacturing principles, later adopted by Hewlett-Packard. 1953 — Toyota develops the kanban method. 1970s — Tech companies in the U.S. start developing lightweight processes, in opposition to cumbersome processes that emerged from manufacturing industries. 1980s — Developing agile processes, combined with greater acceptance of “brand management” roles, takes hold in many technology and software companies. 2001 — The Agile Manifesto is written, which, in large part, broke down department silos and outdated process, to make room for a unified product management role. It’s hard to understate to role of agile software development in the growth of product management. In the Agile Manifesto, written in 2001, lays out twelve principles, one of which reads, “Business people and developers must work together daily throughout the project.” Product Managers stepped in to fill this role and with the growth of agile came the rise of product management. Today, the demand of technology companies for skilled “product people” has led to an explosion of new programs at universities and code schools that will only accelerate this growth. In some cases, product management for one product, or family of products, is handled by a single Product Manager. This individual must represent a deep proficiency in at least one of the areas that touch product management, and a passion for or fluency in the others. This most often manifests itself in one of two cases: an experienced business marketer with a passion for outstanding user experience and can speak fluent tech lingo, or a technical development leader who understands the product so well that they can begin to drive it’s creation. These people have proven to be so rare and valuable that product management now commands the highest salaries in all of tech. Chief Product Officer (CPO) - Leads the product function at an organizational level. Ensures each product is looked after by skilled PMs and their teams. Product Owner - Takes a more active role in the development of the product by managing the engineering team’s backlog and their communication with other stakeholders. Product Marketing Manager (PMM) - Improves on the product teams ability to reach customers and learn from them through product-tailored marketing campaigns and the insights they provide. User Experience (UX) Researcher - UX is one of a PM’s core responsibilities, but a dedicated UX researcher, who studies user behavior and makes usability recommendations, is a great addition to any product team. Since there is no clear-cut route into product management, many eagar applicants focus instead on the core competencies of the job. For example, I studied “Information Management,” a brand new major the University of Colorado, Boulder. I took half business management and half computer science classes with the goal of being able to speak both “languages” and bridge the communication gap between the two worlds. Similar skills to consider would be data analysis (SQL specifically), project management, and strategy. These product management skills are actively marketed by code-schools, universities, and professional development bootcamps all around the world proving, here, that product management is here to stay. In agile software development, product management is about guiding a product through multiple iterations. Since agile programs are more fluid than traditional approaches, agile product management is a more flexible approach. One of the core concepts in agile is that the scope of a project is fluid, while resources stay the same. As such, in agile product management the team spends less time defining the product before hand, and is open to changes along the way. The product comes together one iteration at a time, allowing for customer data and team retrospectives to drive the next stage. As such, agile product management is more about guiding the dev team through cycles, while maintaining the product vision and integrating customer insight along the way. Agile product managers are thus more integrated into technology teams than business teams. 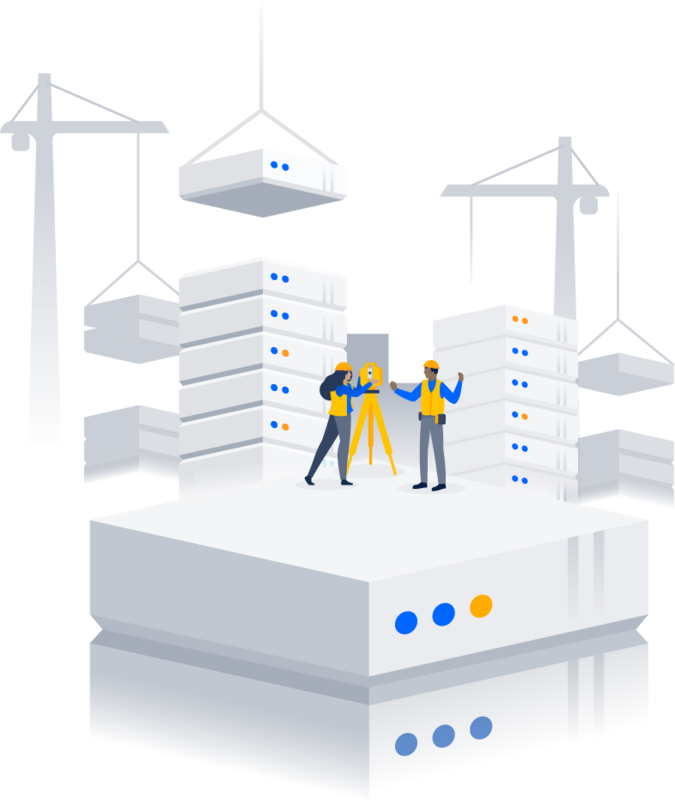 At Atlassian, our PMs sit squarely in the engineering organization and advocate for the development teams first and foremost. This is critical for Atlassian’s agile approach. The PMs are supported by management teams and PMMs (Product Marketing Managers) to round out the product discipline and ground their practice in market data and business objectives. This organization works well for Atlassian, but it is not a catch-all. Many teams may find success doing the exact opposite. Product management is a multidisciplinary pursuit that is as elusive as it is dead simple. Product managers gain empathy for the customer, and communicate their needs to the broader organization. They work most closely with development teams, but also need to get buy in from marketing, design, and management. Their special sauce is the ability to understand and communicate with a wide variety of people who speak different languages. My hope for the future of product management is to have fewer product managers who are better at their jobs. As soon as agile product management became en vogue all of a sudden every product needed a PM, and every PM needed a PO who needed a PMM who were all managed by a CPO. This proliferation has created mushy, overlapping roles and added more process than they have progress. In reality, the future of product management is up to the product managers. You can use these articles to gain inspiration, but we hope you’ll take these lessons and make them your own. Onward! Explore agile team dynamics, culture & collaboration, and build a great agile team.